UPDATE – November 5, 2013 – Horizon Planet has now filed a lawsuit against the City of Tracy challenging the approval of the Cordes Ranch project. See the lawsuit here: Horizon Planet v. City of Tracy. Authorities have uncovered new evidence proving that extraterrestrial life forms have set up a secret colony on Earth. To blend in and evade detection, the creatures have apparently observed and adopted what they regard to be typical human behavior: using the California Environmental Quality Act (CEQA) to threaten and delay proposed construction projects. The forbidding Horizon Planet, as shown at www.horizonplanet.com. These particular space aliens purport to come from Horizon Planet. Little is known about their world of origin; however, the aliens’ sketchy, cryptic one-page web site (established in 2012 although it claims a 2007 copyright) shows an illustration of their home planet as seen from space. It is a blue watery orb with continents vaguely similar to those on Earth, except a closer inspection reveals these land masses as unfamiliar shapes. This is an alien world. In October 2012, the aliens first revealed their presence to Earthlings with a letter emailed to the Development & Engineering Services Department of the City of Tracy, California. The letter listed several objections to the city’s scheduled adoption of a resolution revising the implementation guidelines of the Residential Growth Management Ordinance (GMO). Confirming an exclusive November 2005 report from the Weekly World News that “Aliens Settle in San Francisco,” the letters from Horizon Planet claimed an address of 1750 Montgomery Street, 1st Floor, San Francisco, California 94111. An investigation of this address did not reveal a colony of alien life forms; instead, it appears to be workspace rented out by Regus Office Solutions. 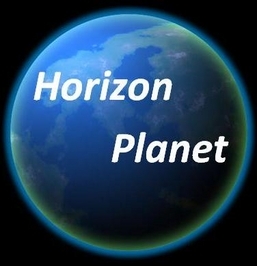 Research into the alleged phone number of (415) 954-7188 and email address of info@horizonplanet.com provided no intelligence information of value. The signature of a mysterious “Jeff Smith” appeared to be electronically generated. Soon the space aliens demonstrated their superior intellectual capabilities through their mastery of the most sophisticated aspects of human civilization. Horizon Planet filed a lawsuit in February 2013 against the City of Tracy concerning the Ellis Specific Plan, where The Surland Companies plans to build a residential development featuring a Family Swim Center. The Tracy City Council had approved a Final Revised Environmental Impact Report for the Ellis Specific Plan in January 2013. In June 2013, Horizon Planet requested a dismissal of its lawsuit with prejudice, and it came to an end. What the aliens received out of this from The Surland Companies, no one knows. During the summer of 2013, the Brigit S. Barnes & Associates law firm based in Loomis (in Placer County) submitted two letters (July 30, 2013 and September 3, 2013) and supporting exhibits on behalf of Horizon Planet to the City of Tracy. This time the extraterrestrials objected to the Environmental Impact Report prepared for the Cordes Ranch Specific Plan, where several developers plan to build for commercial, office, and industrial use. Despite these threats from an unknown alien civilization, the Tracy City Council gave final approval to the Cordes Ranch Specific Plan on September 17. Now city officials are nervously watching their doors, waiting to be served with another lawsuit from an unknown tormentor. Individuals closely involved in planning for the City of Tracy reported they had done outreach to Horizon Planet, but had not received any input. A September 3 staff report to the Tracy City Council stated that Horizon Planet is “ostensibly an environmental group,” but also noted the Horizon Planet website is a single page. Experts in extraterrestrial contacts warn that the creatures from Horizon Planet are exhibiting subtle yet unmistakable signs of hostility, such as last-minute CEQA “document dumps” at public meetings. These experts also point out with trepidation that no one has actually seen the creatures from Horizon Planet or located their colony on Earth. Their motives are unknown. What’s clear is that Horizon Planet is growing increasingly bold in its efforts to influence the future plans of the City of Tracy with CEQA objections. This quiet Central Valley city seems to be the testing ground for aliens to turn humanity’s most destructive weapon – the lawsuit – against itself. Is the goal of Horizon Planet simply to stop development? Or do they have an insidious plot to enslave humanity and eventually eat us all? Denizens of Horizon Planet: show yourselves to Earth, now! This entry was posted on Friday, September 20th, 2013 at 7:20 am and is filed under Blog Posts.